There are more similarities between the cyber-dating sphere and the real world than we think. These days, you’d be hard pressed to find someone who hasn’t heard of online dating and the apps that are associated with it. 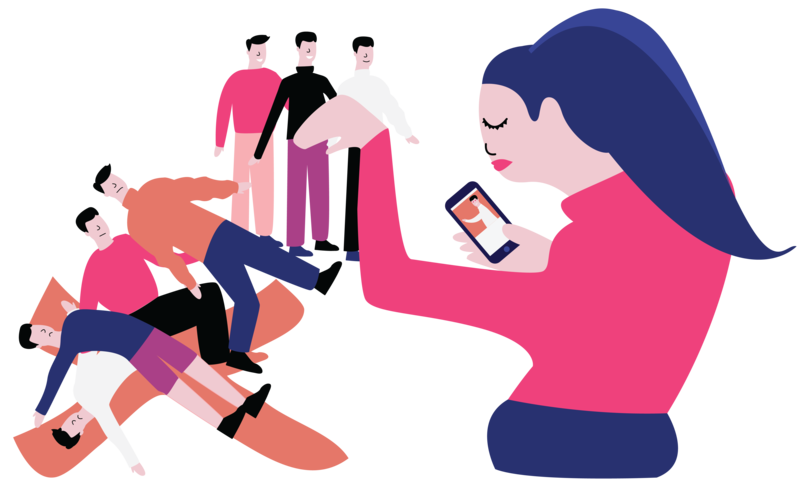 Yet, beyond its seemingly frivolous veneer, the experiences that come with using dating apps are surprisingly similar to how brands and businesses function in the modern age. Just like how singles today are bombarded with so many potential profiles and matches, consumers are also inundated by the flurry of brands and businesses trying to get their attention. It is therefore an increasingly uphill task for brands to get their potential consumers to 'swipe right' and find their happily ever after. 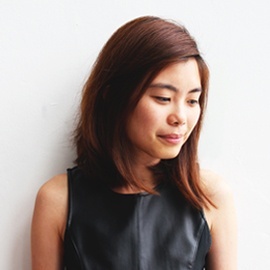 In Singapore, our most popular dating apps are Tinder and Coffee Meets Bagel (CMB). Despite the popularity of both, they are on opposite ends of the spectrum in terms of philosophy, partner matching mechanics, and user experience. Based on these two apps, we'll illustrate how the marketing strategy you choose impacts the audience you attract and the relationships you form with them. Before we think about marketing anything, the first step is always to define one's target audience. Just like how different people have different approaches to dating, every market is also made up of individuals of distinct needs, wants and expectations. Brands therefore have to determine who they are targeting and what pain points they would like to address. For example, CMB’s tagline is ‘For singles looking for real relationships’. 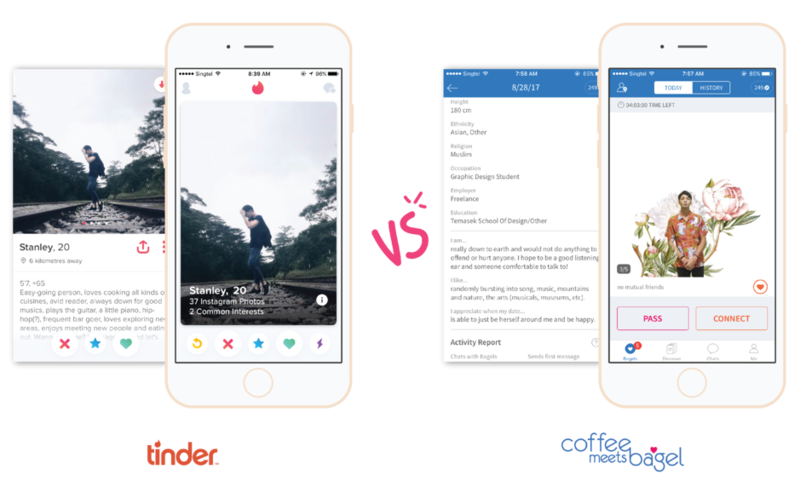 CMB users are more fastidious in who they match with and talk to, and the app aims to tackle the problem of finding a quality match in the very saturated dating sphere. Tinder, on the other hand, tends to attract people who are less exacting. Its 'swipe right' system is simple enough to grasp, and provides a quick fix to loneliness. Users of Tinder therefore look for easy come, easy go relationships, and do not necessarily have as complex or in-depth preferences as the users of CMB do. Brands too must first establish their target audience personas – what age group do they belong to? What are some of their concerns? What are their goals, attitudes, and aspirations? What are their fears and challenges? Only with such information in place, can a brand the effectively contribute to and value add to its target audience’s lives. 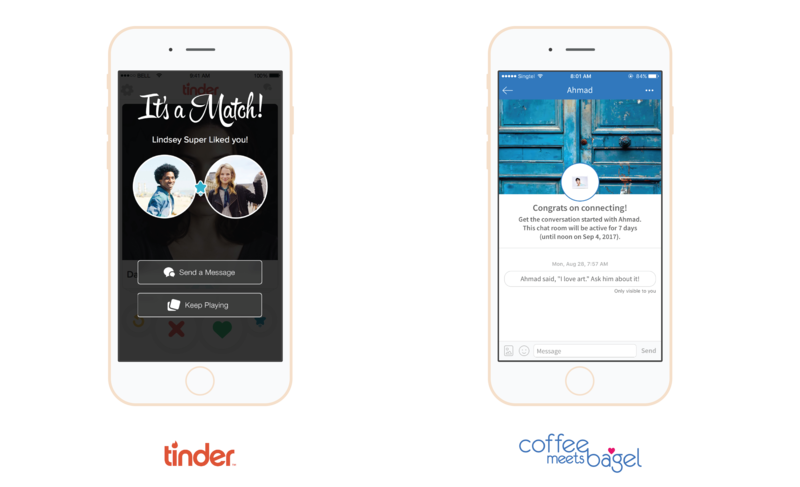 Even as dating apps, both Tinder and CMB have different approaches to how their users are matched. This in turn, conveys a different message on what they think about the dating game. Tinder encourages their users to make impactful first impressions, by using visual cues to convey aspects of themselves. If you upload a photo of yourself with a dog, for example, don’t be surprised at conversation starters revolving around dogs, pets and other related topics. On the other hand, CMB gets their users to fill in detailed profiles of themselves, which would then present more in-depth information about them. Similarly, brands have to decide on how to best present themselves to their audiences. As a brand, do you want to build affinity through telling an in-depth story about yourself, like a CMB user? Or, like a Tinder user, would you seek to leverage more on visual and emotional cues to attract your audience? 3. How do you want to say it? In line with their detailed profiling, the CMB app provides its users one match a day at noon, giving them 24 hours to make a decision. With such measures in place, CMB aims to create a quality matching experience. As CMB co-founder Dawoon Kang explained in a 2015 interview with Startup Daily, “[CMB uses] a motion learning algorithm where we learn over time what your preferences are, but there are many factors that go into this, including your age, your education level, your religious preferences, your interests and your friend network, to name a few.” It is this algorithm that drives the whole CMB experience, and users trust it to give them matches that are compatible with their requirements. Tinder, on the other hand, gives its users an unlimited number of matches and people to talk to. Users would then have to exercise their own judgement to decide on who they would like to carry on conversing with, and who they would like to drop. Ultimately, there is no one-size-fits-all, cookie cutter approach to marketing. As today’s consumers develop more complex tastes, it is all the more essential for you, as a brand, to establish who exactly you are marketing to, what you would like to say, and how you would like to build a relationship with your audience. Aligning these three aspects is fundamental to the success of any marketing campaign and achieving brand loyalty in the long run. Take the first step to getting to know your target audience better by downloading our handy template here.